How many times do we do this every week? Why do we repeat this every time someone asks how we are doing? Are we always fine? Or is it a dance we learned years ago and we just stick to the same moves each time we see a familiar face? Are you, or the person you are asking really fine? Could you actually be awesome, worried, surprised, sad, thrilled, scared, on top of the world or at your wits end? I was faced with two questions when I started thinking about this blog post. My first question was, when I see you and ask, “Hey, how are you?” –am I really asking because I want to know how you are truly feeling? Am I prepared to actually listen to the answer with my heart and my mind? Am I ready to celebrate with you or cry with you if the answer is anything but the usual “fine, thanks”? Then my second question was this, if you ask me how I am doing and I am more than fine or less than fine, why do I answer “fine, thanks”? We are essentially taking our humaness out of the interaction. We are social creatures, we run in the same circles, we fight the same fights, we share common joys and share common tears. We are only human… and we need each other! What if, for the next week or so, or longer, (or forever :)) we take out the word “fine” from our answer to this everyday question? Couldn’t we then, open a more authentic dialog with one another? 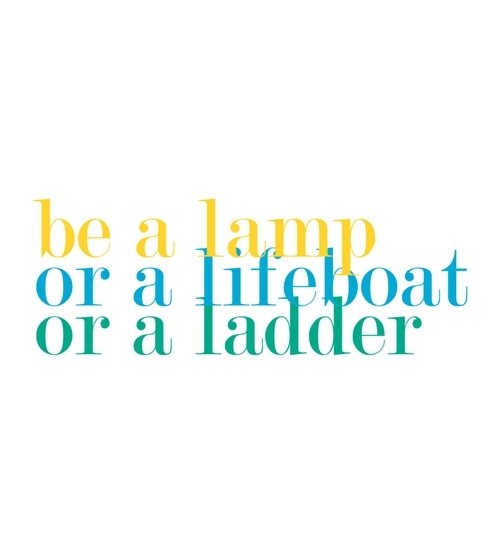 Today, I may BE the lamp or the lifeboat or the ladder, or today I may NEED that lamp or that lifeboat or that ladder. Open up! Open to the question you may be asked and open to the answer you may receive! Let’s just see what happens when we open our hearts to one another through our words… real words! Make up your own dance along the way, you just might find the music in the everyday! This entry was posted in inspiration, Uncategorized and tagged answer, authentic, how are you?, question. Bookmark the permalink. ← Do Our Children Become Our Conscience? Great words! I love it! Well done!! It makes me change my thoughts on the everyday. Your writing hits home young lady and it speaks to all lots of life.. Exactly, yes, you nailed it!!! Love you! So true AFT! I say this a lot when people ask how I am. Inside I’m really saying, “do you really want to know? Really? I read a great book called “Fierce Conversations” by Susan Scott that deals with just what your talking about and having open honest communication with others. Very insightful!! Thank you, and I’d love to check the book out too! Give me a ladder today. For some reason this morning I woke up in a hole and I am not “fine” although I might tell the checkout lady I am. I became aware that I do not need a reason to be happy, excited, serene, but if I am sad, the analyzing begins. Thanks so much for commenting… one day you will be looking up the ladder and the next you will be able to look down. Keep climbing step by step sister! love it ! #truth keep it up momma, shared on my FB ! You rock! You always keep it real! Thank you! !